Niantic is slowly rolling out the new and hopefully working version of the Nearby Pokémon feature in Pokémon GO that has been broken for several weeks now. Previously, the Pokémon GO Nearby tracker only showed footprint icons which were still vague and did not help the player to find which direction they should go to find Pokémon. The only thing it was useful for was to find out what Pokémon could be caught in the area. Some users also reported that Pokémon GO tracking was not working at all as the footprint icons were gone. 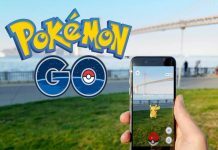 Niantic seems to be fixing and improving the feature as it now includes the new Sightings section, TechCrunch has learned. 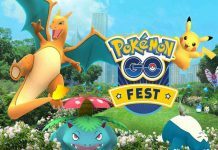 Players can now see which Pokestop they should head to in order to catch a particular Pokémon which should end the endless walking in random directions. Interestingly, the feature is highly similar to a third-party service dubbed as Pokevision that Niantic has banned. Nearby now shows a photo of the nearest Pokestop with the Pokémon that users want to catch, Kotaku reported. It would immensely help players who are actively hunting a specific Pokémon such as a Meowth, Zubat, Charizard and more. Pokémon GO players who are grouping together to hunt Pokémon will know where they need to go. Pokémon GO walks just consisted of groups walking in random directions in hopes of finding a Pokémon nest and such. Sightings are the monsters that are not readily near a Pokestop. 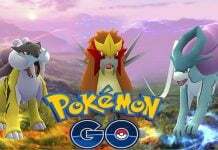 This means that players will still need to actively find them in the nearby are around the Pokestops. Players should also note that a Pokémon that despawns will also disappear from the Nearby or Sighting drawer. Pokémon GO is now improved and players won’t have to rely on third-party tracking apps.